Now that we have settled in Chalon and plan to stay until February, we have been worried about getting cold on the boat. Our boat, while a great boat, would not have the level of insulation a live aboard barge would have, neither has it double glazed windows. While we have had a great summer and autumn, the temperature has started to fall since mid November. Some nights the temperature has gone down to 3 degrees and we have been cold. The other big problem has been condensation. As the temperature has fallen ,the condensation on the windows increased dramatically. Chalon has a Continental climate. That means colder winters and hotter summers and as Ulrich one of the local boaters who visits Ireland regularly reminded me, Irish weather is different as it’s moderated by the Gulf Stream. So we are not used to such extremes in temperature. So we have been doing some research and monitoring the temperature. Nuala found on U Tube that people in old apartments in New York put bubble wrap on the windows in winter. So we went to Castoramma and bought some (cost €10) and cut out the shape of the windows. With a little water and washing up liquid, it stays up on the windows. Next we got an oil fired heater. Lastly I dug out the old dehumidifier and got it going. (20 years old from a previous boat). We also went out and purchased another three temperature gauges. 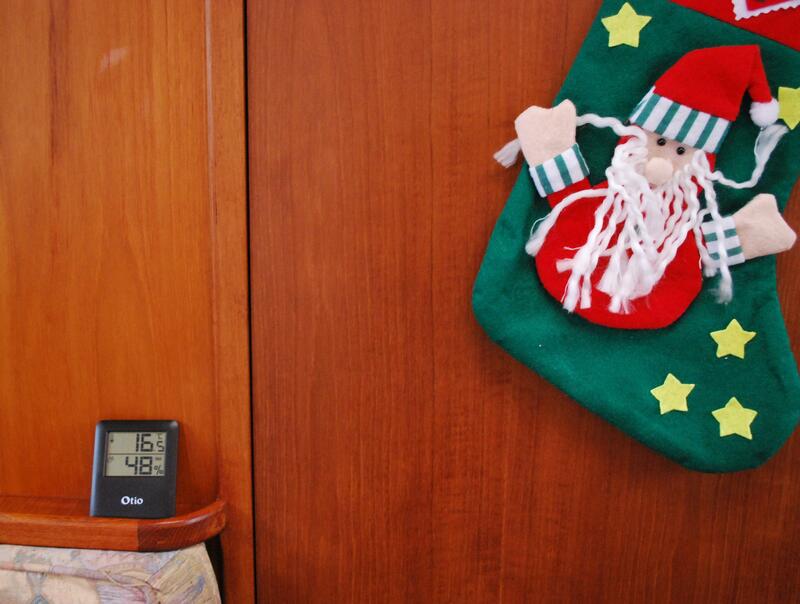 Now we can monitor the temperature inside and outside the boat and in all the cabins. What a difference all these little changes have made! The bubble wrap keeps the heat in at night and helps to stop the condensation. 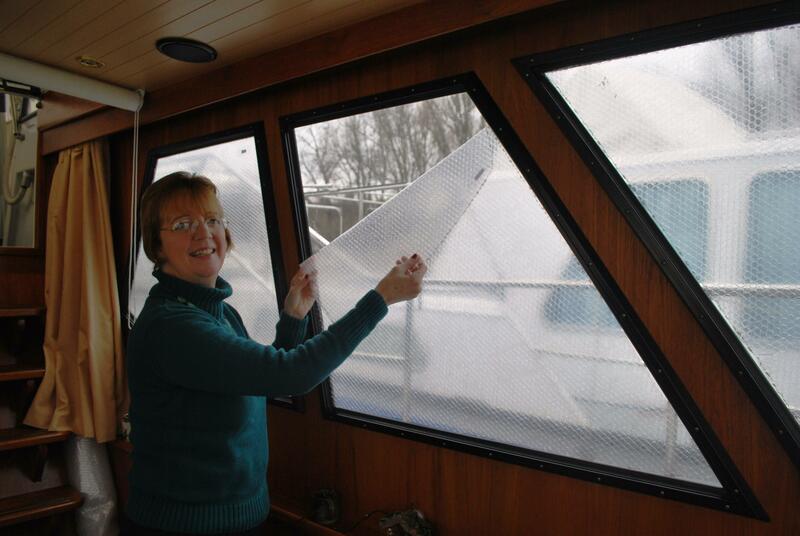 The dehumidifier is taking the excess moisture out of the air so the windows and boat stay dry. 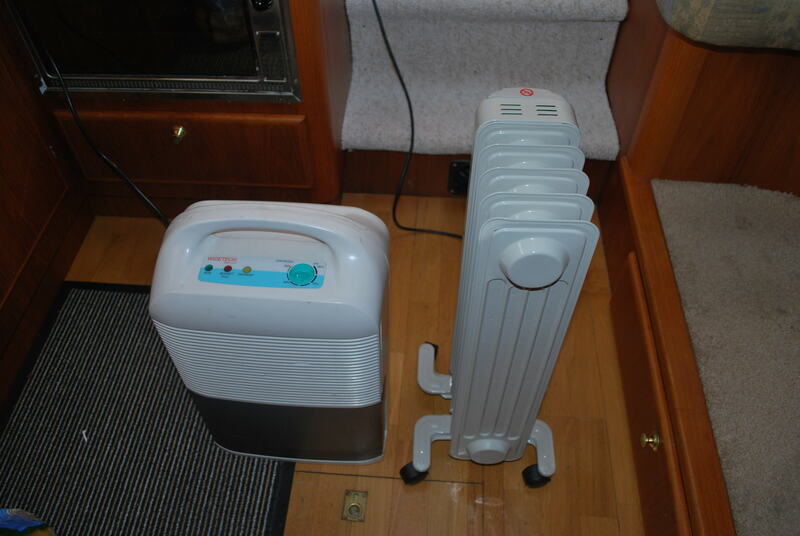 By monitoring the temperature, we know how much heat we need on and can run the Ebespasser boat oil fired heater as a back up to keep the temperature up. So now, we and the boat are warm, dry and cosy. We might never come back! But the locals tell us we have not seen real winter weather yet. They say we will get snow and the temperature will fall to -2 degrees. P.S. For the sharp eyed readers the time is wrong on the clock on the temperature gauge I wish it was 7 degrees outside at 20.08 at night! 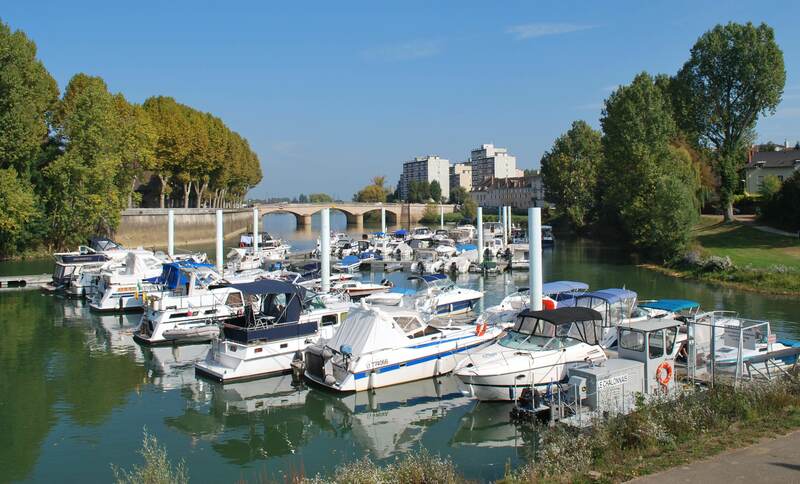 This entry was posted in C'est La Vie - The Boat, Experiences on the Canals, Travel Tips, weather, winter and tagged bubble wrap, Chalon, Chalon sur Saone, Nuala. Bookmark the permalink. 6 Responses to It’s getting cold outside- Will we manage in January? Hi, well done on the bubble wrap, never heard that one before but it makes perfect sense. Be careful if using gas heaters along with dehumidifier, you could burn all the oxygen out of the air. Hi Adrian, it was -4 last night !how is it going with you and your wife.where are you now?